Paints and coatings: What is next? Industry experts share the latest developments and trends in the paint and coatings industry – from new innovations to the latest colour fashions. From industrial powder coatings to paints and decorative coverings, the trends are ever evolving with new, innovative products coming to market and colour fashions coming and going. WALLS & ROOFS spoke to the people in the know about what is happening on the different fronts. In a roundtable discussion exploring the turning points of colour in architecture, AkzoNobel global design manager, Per Nimer, notes that people are increasingly using colour, inside and outside homes, and architects are specifying more colour. “It is not a huge increase at all, but it is clear in the pigment sales that the use of colour is increasing,” he states. According to Lisa Taylor from the NCS Colour Centre SA, decorative colour palettes are shifting away from a mix of soft, light shades and bold, energetic colours towards more saturate hues that include a mix of warm, deep colours and colder tones. “2016 is the year of controversy, where dark and cold meet colourful and warm,” she states. To escape from urban living, this trend takes inspiration from the vivid colour palettes of the tropics, featuring exciting combinations of vibrant yellows and reds, with zesty grapefruit coral accents and a calming base tone of green tinged white. 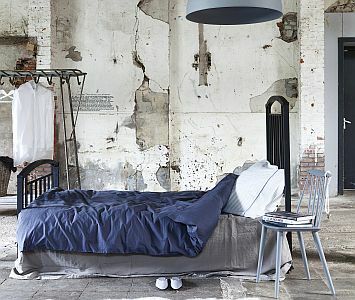 Combining industrial rawness with the organic and manmade, rustic settings are created with aging surfaces and raw materials, together with a colour palette of soft and cooling neutral tones. Inspired by unexplored depths of the ocean, this colour spectrum combines extreme contrasts, from pitch black to bright light. Dark and cold, yet chromatic shades are mixed with electric glowing accents. The focus on brave, inspiring women and gender equality inspired this colour palette that sees powerful colours such as deep purple and dark green paired with a soft, dusty pink and bright yellow. To bring these colours to life, aged effects, the patina of metals and luxurious surface textures are key. Architectural colour specifications consultant, Helen Gurura, highlights that colour arouses definite emotional and aesthetic associations, and influences people both psychologically and physiologically. Gurura is the vice-president of the International Association of Colour Consultants and Designers (IACC) and the exclusive marketing manager at Dekade Paints. She explains that our sense of sight provides ten times more information than the other senses, which is why the perception of colour and visual elements within an architectural space forms an impression on the viewer, both consciously as we evaluate and subconsciously as we experience being in the space. That impression causes an emotional reaction which may affect physiological well-being. “This is why functional colour design is important in the architectural specification process,” Gurura states. For architectural exteriors, colour can either bring buildings in harmony with the surrounds or provide individuality to buildings exhibiting similar designs through colour characterisations. For both interiors and exteriors, colour can differentiate elements, and contain, equalise, unite, accentuate, underline or draw attention to architectural dimensions. According to Gurura, the architectural style of a building plays a part in determining the colours one chooses. “Attractive features benefit the most from accentuation in a focal hue. The accents should, however, always compliment surround colours, as the overall aesthetic appeal of any design space lies in how well the colours harmonise,” she recommends. “At the start of the colour specification process, it is essential to look at the colours of existing fittings and finishes within the architectural space, such as the flooring, paving, roofing material and other built-in elements. “Remember that the more intense a colour, the more likely it is to fade. Dark, bold and intense hues absorb heat and are more prone to moisture problems than the lighter shades. This aspect should always be considered when selecting exterior colour palettes, and those of north-facing interiors,” she states. When it comes to application, Gurura points out that poorly plastered walls and glossy coatings do not work well together. “The glossier the surface, the more likely it will highlight imperfections, brush strokes and touch-up marks. Matt finishes are, in general, recommended for such. “In addition, surfaces should always be well prepared before applying any paint coating system. Uneven, cracked and defective walls cast shadow effects which will consequently affect the chosen colour’s overall appearance. “Physical colour brush-outs are always recommended before the specifier settles on the final palette. Before application, ensure the surface area is large enough for the colour effects to be observable and that the substrate onto which the sample is applied, is primed with a suitable undercoat to ensure colour accuracy is attained,” she advises. Toni Stella, national training manager at the South African Paint Manufacturing Association (SAPMA), says that paint serves the dual function of decorating and protecting surfaces, the latter which is often overlooked. “Application errors and incorrect product specifications are by far the greatest contributors to paint failure statistics recorded on coatings projects assessed,” he says. Stella points out that paint specifications will realistically vary according to whether the project is located within an urban, rural or coastal setting. Humidity, moisture, intense sunlight, as well as extremes of low and high temperatures, all play a role in the overall success of a coating system’s performance within exterior environments. “Needless to say, this multiple component application process has to be accompanied by proper surface preparation – including a moisture content check of surfaces to be painted, the use of good quality application tools, compliance with the right painting weather conditions and most importantly, the employment of skilled, experienced and knowledgeable paint applicators,” he advises. On the powder coatings side, Ingrid van Zyl, national specifications manager at AkzoNobel Powder Coatings, sites the National Building Regulations SANS 10400:XA (Energy usage in buildings) and SANS 204 (South African Energy Efficiency Standard for Buildings) as big drivers for innovation in the industry. One of the latest developments in this field is low solar absorption architectural powders which reflect solar infrared radiation, thereby preventing the transmission and convection of heat. This means that less heat is transferred through window frames, reducing the need for cooling, and less heat is radiated back into the atmosphere, which reduces the heat island effect. However, Van Zyl stresses that to facilitate adherence to these standards and ensure that appropriate products are in fact used, specifying the correct quality of product is critical in the coatings environment since the use of an inferior quality of powder coatings will lead to costly failures. • Don’t only specify the colour or code. • RAL and Pantone are only colour indicative and give no guarantee of quality used. • Specify performance and quality. • Insist on the use of an approved applicator. • Always ask for a project warrantee. Lisa Taylor from the NCS Colour Centre SA recommends making reference to the SABS National Colour standard SANS 1091-2004 and SANS 1091-2012 when specifying colour. Powder coating: “Brand name and code”, SANS 1796 compliant. Class 2 powder – Supply 25-year project warrantee. Colour: “Colour name and code”. If no brand names are allowed, specify powder quality and application in compliance to SANS 1796:2013 and SANS 1274. Supply 15/25-year warrantee, applied by an approved applicator. Full thanks and acknowledgement are given to AkzoNobel Powder Coatings, Dekade Paints, NCS Colour Centre SA and SAPMA for the information given to write this article. Caption: Drawing from NCS’s Raw & Atmospheric colour palette, the setting is driven by the rugged, unrefined beauty of industrialism mixed with cool, neutral tones.